In the state of Tennessee, the food stamps program, otherwise known as the Supplemental Nutrition Assistance Program (SNAP) is administered by the Department of Human Service. To apply for food stamps, you have to visit the local Department of Human Services office that is located in the county you live in. Click here to locate an Office or see the entire list here. You will be asked to bring documentation with you that proves your eligibility to receive food assistance, including your birth certificate, social security card, pay stubs bank statements, utility bills, documentation on rent payment, tax returns among others. Once you complete an application, it takes about 45 days for a decision to me send to you on whether you are approved or not. You will get the notification by mail. To apply for food stamps in Tennessee, you may be asked to bring the following categories of information. Note that in each case, we have provided examples of what you may bring as proof. Note that during your face to face interview, they may ask you to bring more documentation in addition to those requested from the list below. Social Security Number: You can bring your social security card as proof if you have it but if you know the number on top of your head, that’s fine too. Proof of Residency: You have to prove that you live in that county and a resident of the state of Tennessee. You can do this by bringing either a Utility Bill, Phone Bill, Driver’s License or your lease agreement/Mortgage Statement. Proof of Income: You will need documentation to show how much income you make. That is very important because income is one of the ways they are able to determine whether you qualify for food assistance. Bring a pay stub or a letter/statement from your employer or an offer letter for a new job. Rent/Mortgage Cost: They will also like to know how much you are spending a month on shelter. You will have to bring your mortgage statement, receipt showing you pay rent, a lease agreement and any other payment that goes towards your shelter costs. Utilities Cost: Another information that is received as part of your food assistance application is the cost of your utilities. Make sure you bring any utility bills you have, including water, gas and electric bills. Residency: You must show proof that you live in the state of Tennessee and your benefits must also be received in the state you are a resident of. 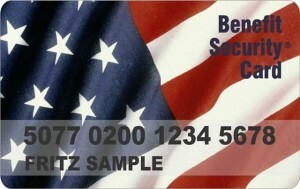 Citizenship: You must be a Citizen of the United States or a US National to apply for food stamps. Certain Aliens may also be eligible. Contact the Department of Human Services if you are an Alien or Immigrant and would like to know if you or your children qualify for SNAP benefits/Food Stamps. Each person receiving the benefits must have a valid social security number or show proof that you have applied for a number. Work: If you are between the age of 16 and 59, to be approved for food stamps, you have to be working, register for work or participate in an Employment Training Program if offered by the state, or you have to accept offers of employment that you get and you cannot quit a job you are already in. You are also entitled to only a certain number of months of food stamps every three years unless you work 80 hours per month. Resource Test: The total assets limit for most households receiving food assistance is $2,250 and $$3,250 for households that has a member who is disabled or 60 years of age. If you want to figure out whether you meet or exceed this limit, here is what is counted and not counted as part of the asset limit. Assets that are counted towards the limit: They include cash on hand, money in checking, savings accounts, certificates of deposit, stocks, bonds, property not up for sale, and lump-sum payments. Assets that are counted towards the limit: Assets not counted are the home the applicant is presently living in and its lot, household goods, income producing property, real estate that is up for sale, cash value of life insurance, personal property, retirement accounts such as IRA and 401k plans, and vehicles with equity value under $1,500. Income Tests: When you apply for Food Stamps, they will look at how much money you make in your household to determine if you qualify for food assistance. Here is a list of income that they count as part of your household income: This includes wages, self-employment, public assistance benefits, unemployment benefits, worker’s compensation, child support, pensions, social security, and SSI. Households which contain an elderly or disabled member do not have to pass the gross income standards but are subject to the net income standards. Click here to see the income limits for this year. 1 Pings/Trackbacks for "How to Apply for Food Stamps in Tennessee"